MATLAB, a software package for high-performance numerical computation and visualization, is one of the most widely used tools in engineering field today. Its broad appeal lies in its interactive environment with hundreds of built-in functions for technical computation, graphics, and animation. In addition, it provides easy extensibility with its own high-level programming language. 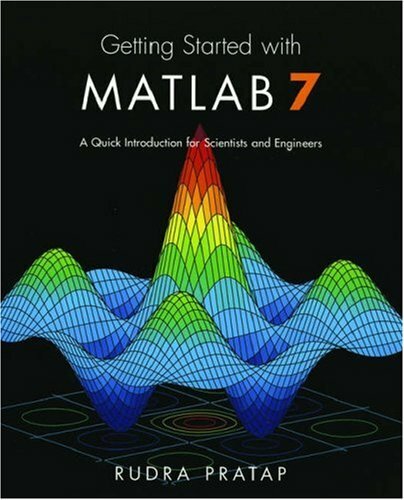 Enhanced by fun and appealing illustrations,Getting Started with MATLAB 7: A Quick Introductionfor Scientists and Engineers employs a casual, accessible writing style that shows users how to enjoy using MATLAB. Rudra Pratap is Associate Professor of Mechanical Engineering at the Indian Institute of Science. Does Matlab Do Symbolic Calculations? Will Matlab Run on My Computer? Where Do I Get Matlab?